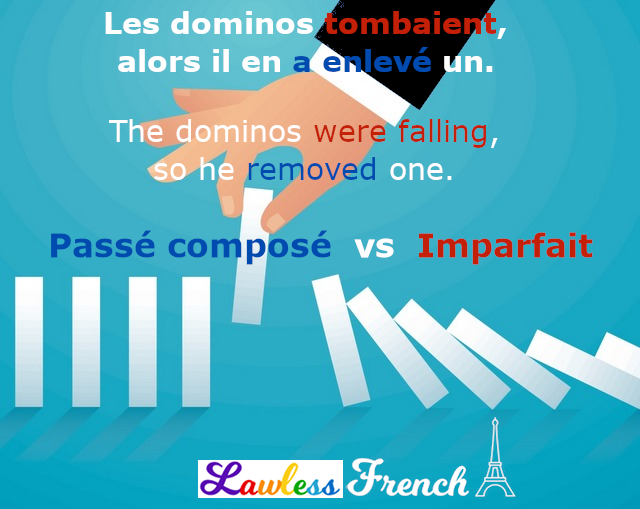 Knowing whether to use the passé composé or imparfait is particularly difficult when translating certain verbs into French. Before reading this lesson, be sure you understand the basics of passé composé vs imparfait. Very broadly speaking, the French imperfect is equivalent to the English past progressive (was/were + ___ing), but some English verbs are not often used in this form. So when translating things like was, had, and liked into French, you really have to think about the meaning in order to decide which French tense to use. Je me sentais malade. I felt sick (ongoing). J’avais la grippe. I had the flu. Il faisait froid. It was cold out (background description). But they are used in the passé composé when talking about something that happened suddenly, or something that occurred with a clear beginning and/or end. Je me suis senti malade. I (suddenly) felt sick. J’ai été malade. I got sick. J’ai eu la grippe. I got the flu. Il a fait froid hier. It was cold out yesterday. aller + infinitive (near future) J’allais voyager en France. I was going to travel in France. être en train de J’étais en train d’acheter le billet. I was buying the ticket. venir de + infinitive (recent past) Je venais de terminer. I had just finished.